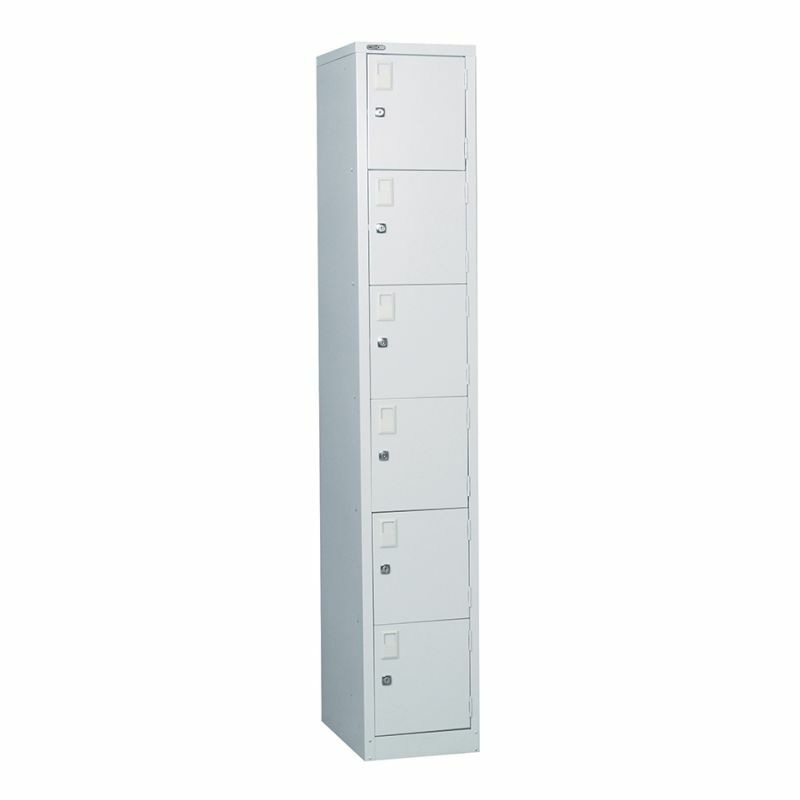 Each locker is fitted with a camlock and 2 keys (master series). The camlock slots into the door frame for extra security. 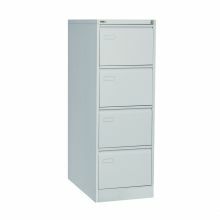 fitted with strong semi-concealed hinges. Single Tier Locker fitted with upper shelf and double coat hook. 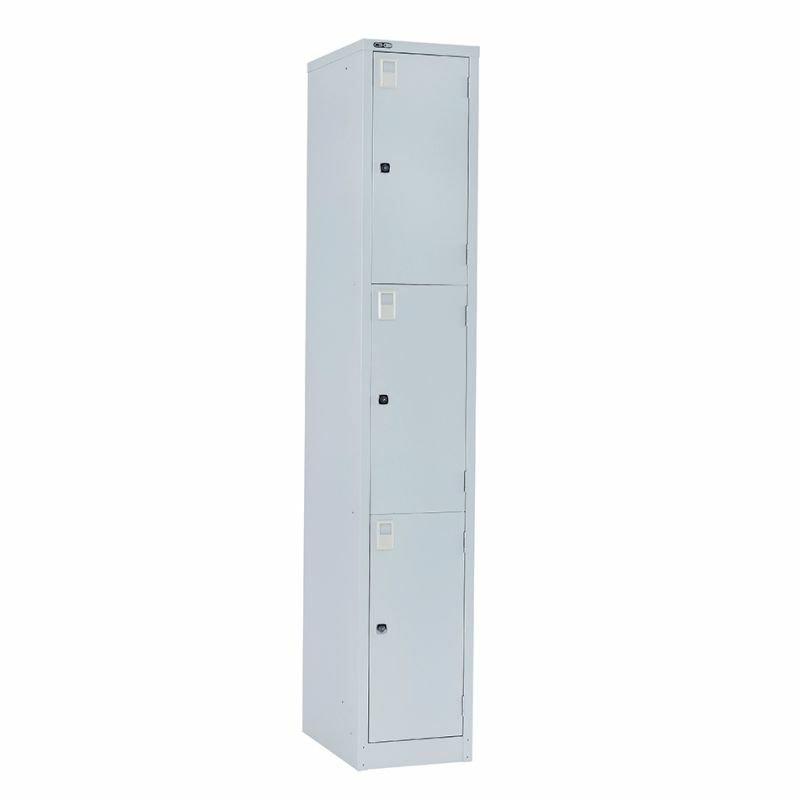 Single tier lockers offer the most storage space for one person. 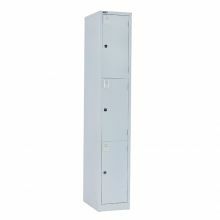 This type of locker is ideal when there is a need to accommodate full length garments such as lab coats or long jackets. 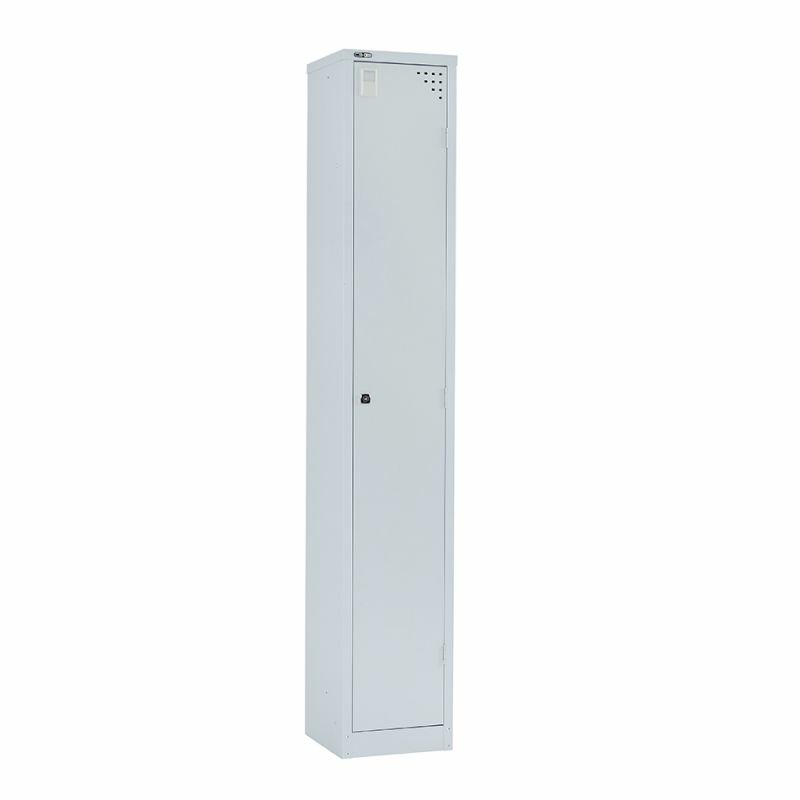 Single tier lockers can be supplied with either key locks (cam) or padlock style locks as standard. 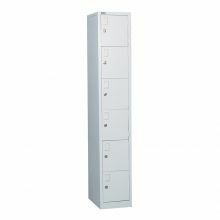 They can also be supplied with coin operated locks, combination locks or electronic locks. 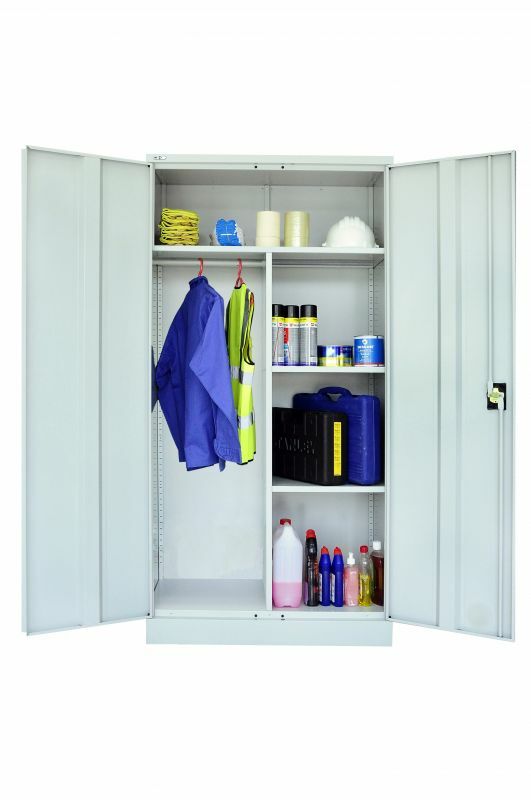 Single tier lockers can be supplied in steel, wire mesh, or laminate and can be tailored to suit a wide variety of applications. 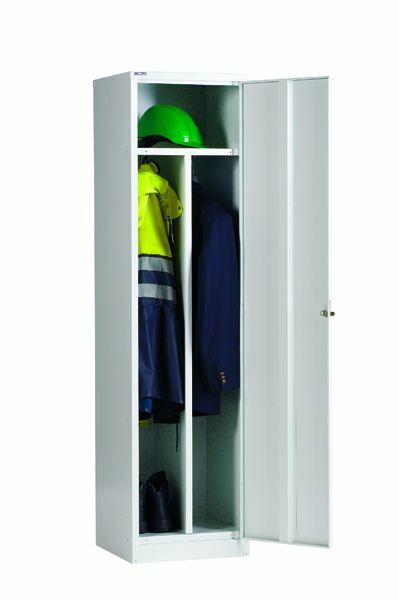 Lockers are treated with ACTIVECOAT, an anti-bacterial powder coating for the most stringent hygienic environments. Delivery 10 - 15 working days. 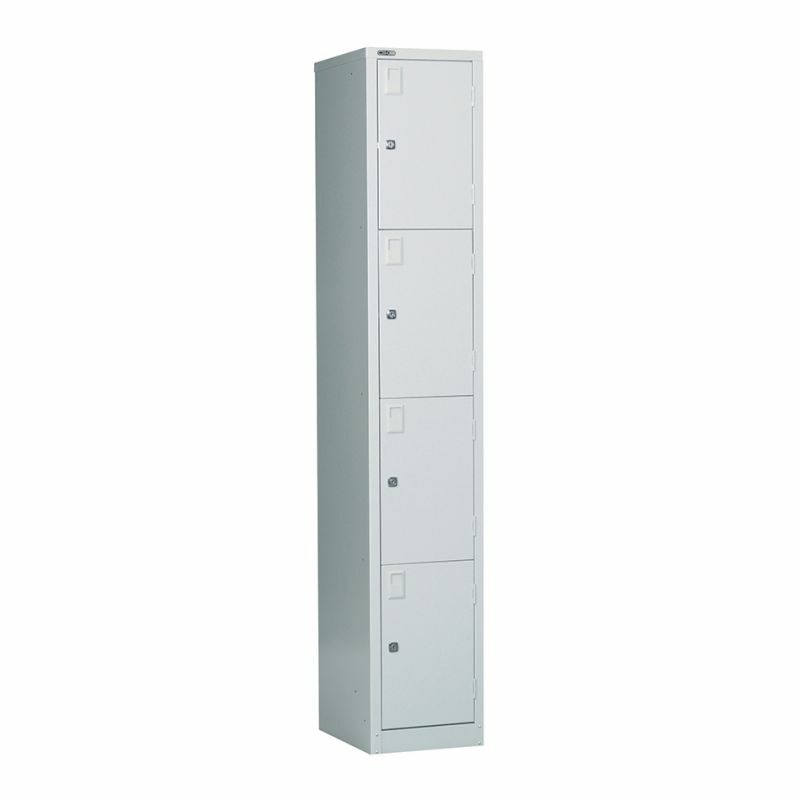 Please Note: Nested lockers share a common divide and cannot be seperated. IMPORTANT NOTE. 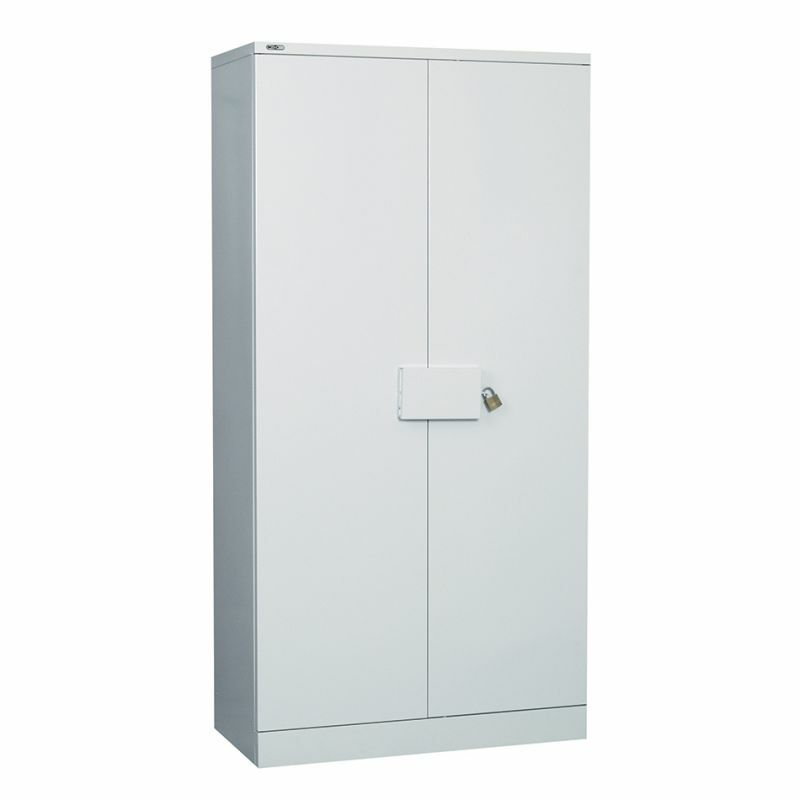 All lockers are made to order and therefore have a strict no returns policy - it is your responsibility to ensure the locker meets with your requirements prior to ordering. 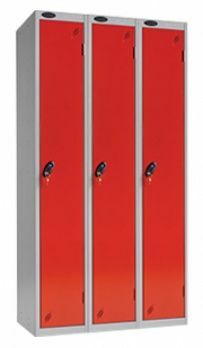 Each locker is fitted with a camlock and 2 keys (master series). The camlock slots into the door frame for extra security. 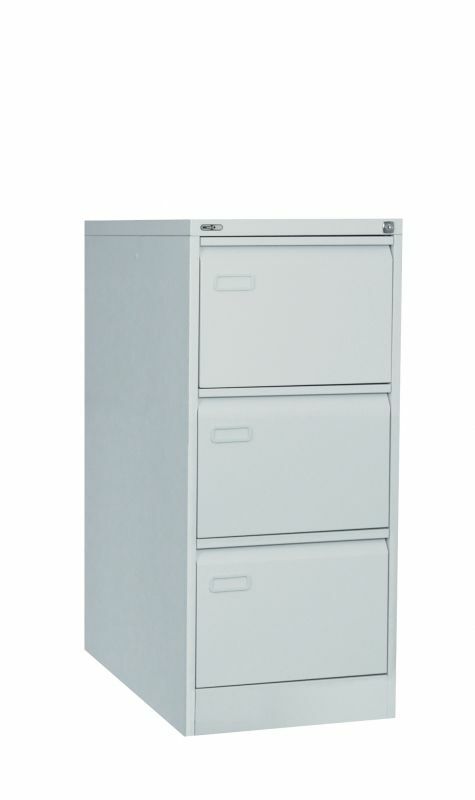 Strong semi-concealed hinges. 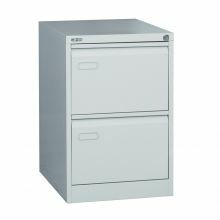 Mainline 2 drawer steel filing cabinet with a swan neck grip handle and label holder, locking with 2 keys (master series). Each cabinet is fitted with smooth action suspension slides with 100% extension opening. Tested by FIRA to BS EN 14073:2004 Parts 2-3 & BS EN 14074:2004. 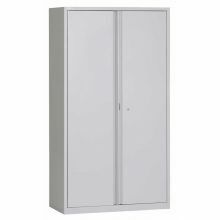 Metal 40" Double Door Cupboard supplied with One Shelf in Light Grey. W900 x D450 x H900. 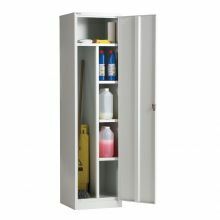 Extra Shelves available @ £20 + Vat. 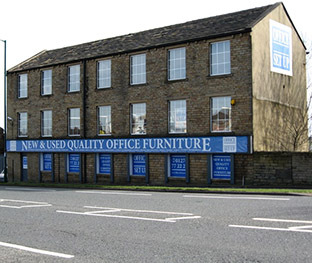 Free Delivery within the Bradford area. 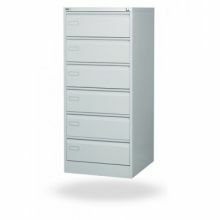 with smooth action suspension slides with 100% extension opening. 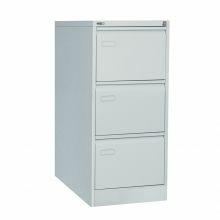 Mainline 4 drawer steel filing cabinet with a swan neck grip handle and label holder, locking with 2 keys (master series). 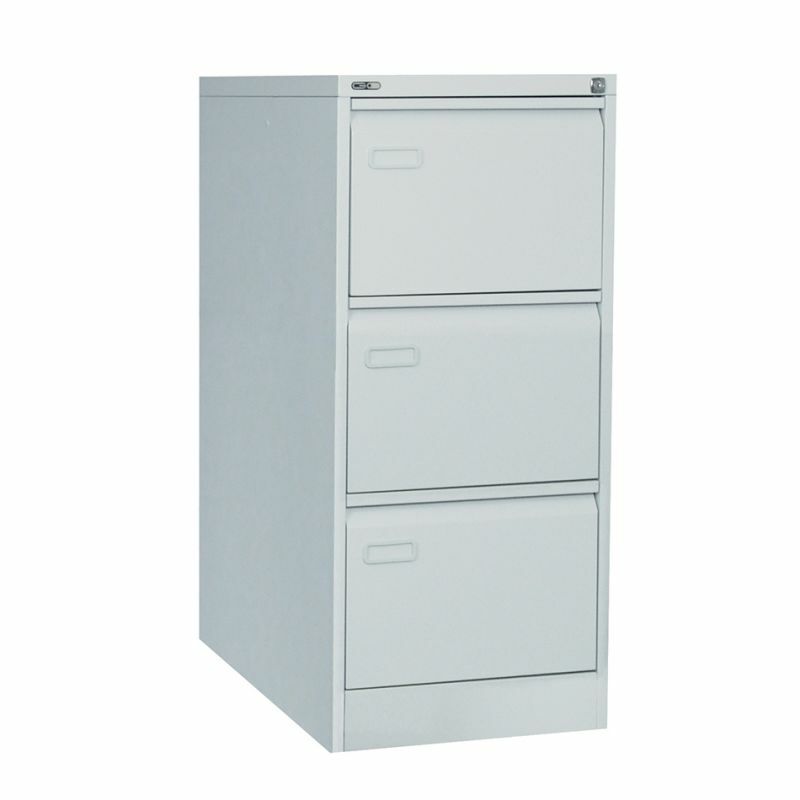 Each cabinet is fitted with smooth action suspension slides with 100% extension opening. 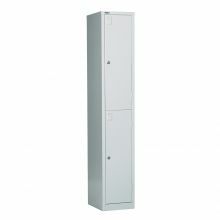 Tested by FIRA to BS 14073:2004 Parts 2-3 & BS EN 14074:2004. 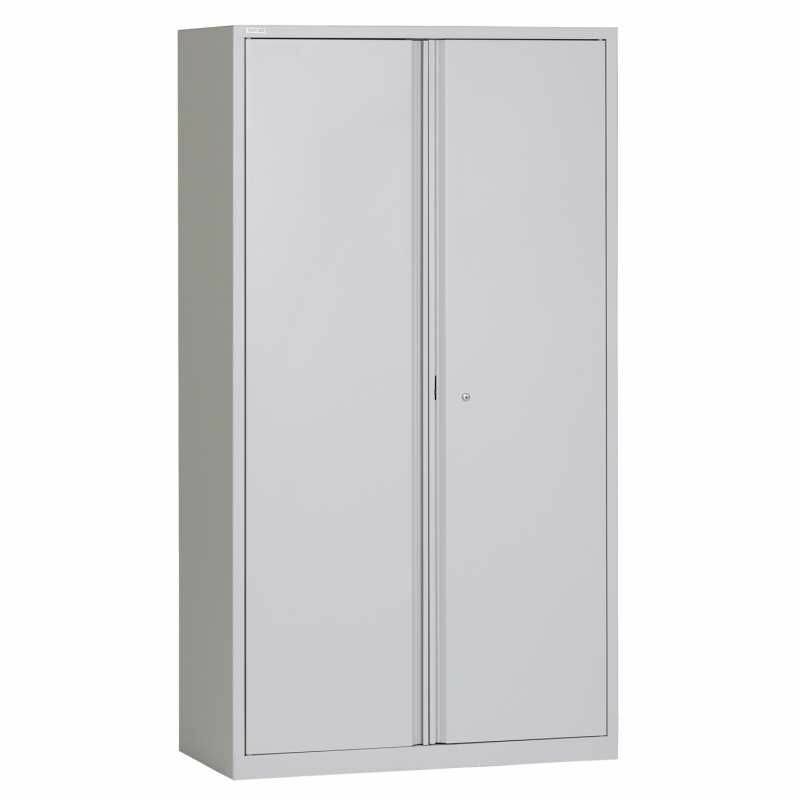 Metal 72" Double Door Cupboard supplied with Three Shelves in Light Grey. W900 x D450 x H1850. keys (master series) - Butterfly lock option. 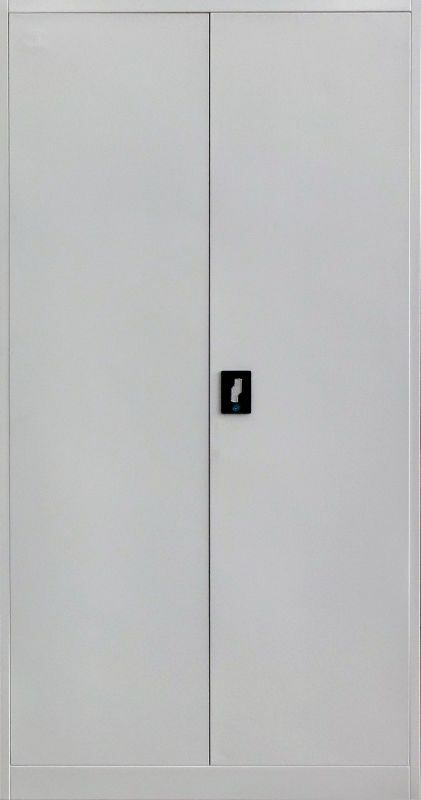 Each locker is fitted with a camlock and 2 keys (master series). 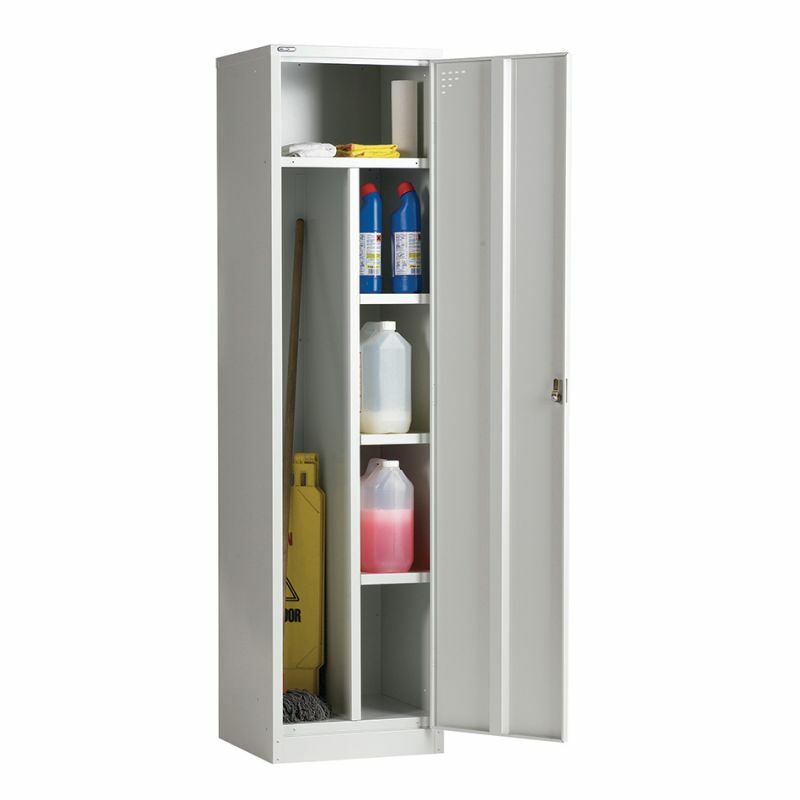 Janitor lockers have one top shelf, 3 side shelves and a centre partition for storage of mops, buckets, brushes and cleaning materials. 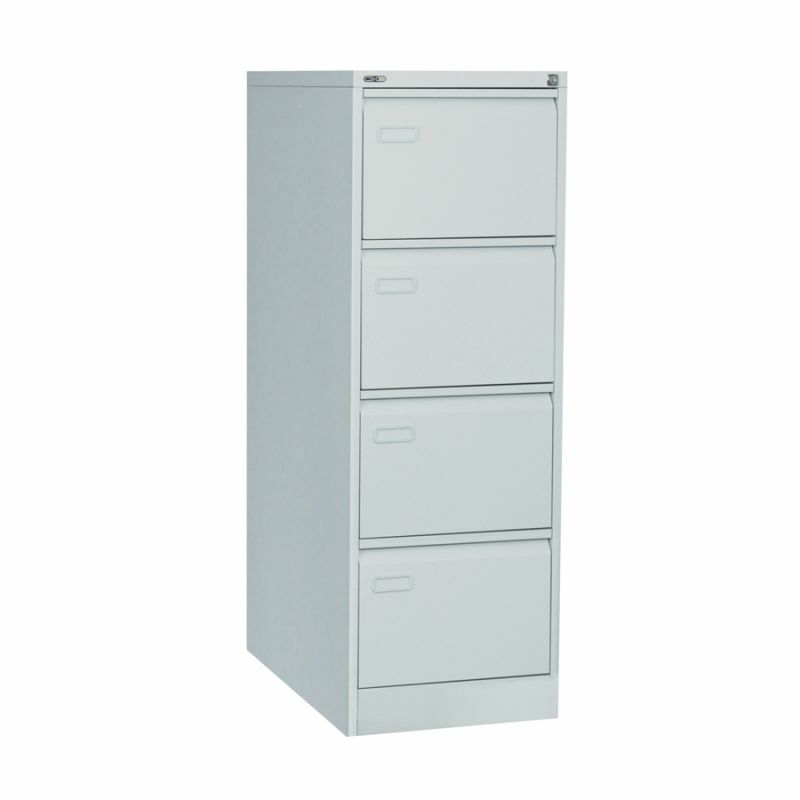 Strong semi-concealed hinges. ACCEPTS THE FULL RANGE OF TRIUMPH STORAGE FITMENTS. 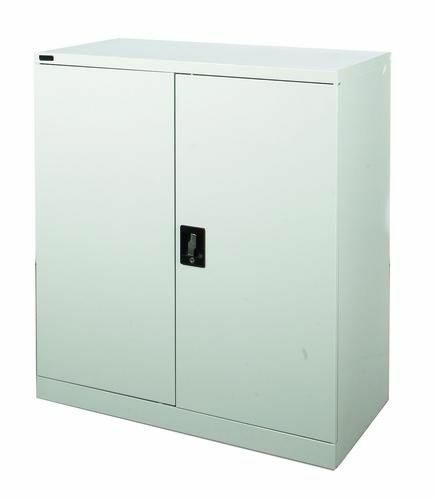 Steel double door office cupboards allow you to configure the internal storage space to suit your individual storage requirements. Choice of Pearl Grey or Coffee/Cream. Security double door cupboards are fitted with a flush twist handle, A steel hinged cover provides extra security, this is fixed to the left hand door and pivots to cover the twist door handle lock, it can then be locked in position with a padlock (not supplied). 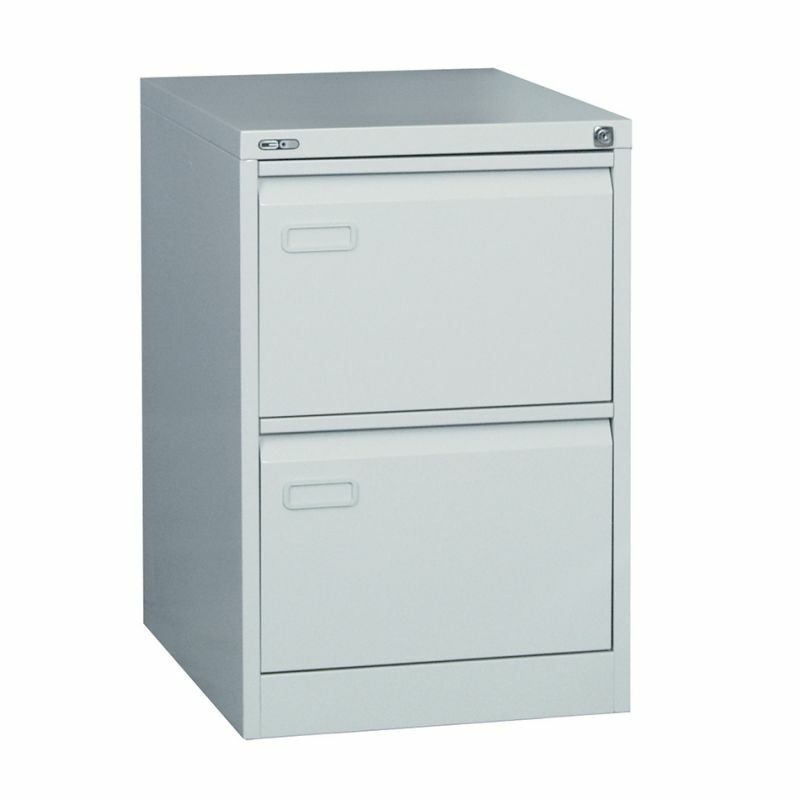 Go card filing cabinets are designed to house cards, compact discs or video tapes. 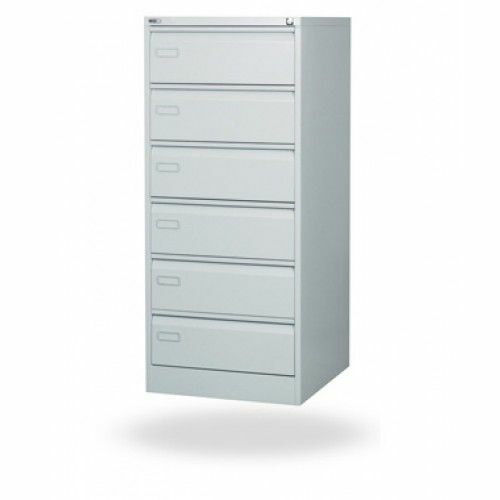 with drawer dividers that are self locating in a number of positions. • AMCF6 takes 229mm x 152mm (9x6) cards.